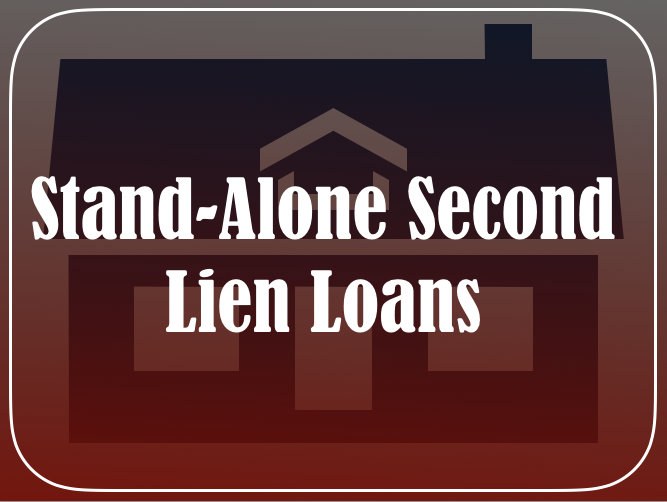 What are Stand-Alone Second Loans? Stand-alone second loans are additional loans that a borrower takes out against his house despite already having a first mortgage. The borrower takes out the loan by itself even though his first pre-existing loan has not been closed yet. He usually takes this loan out to access cash. In essence, he can use the money from the loan to consolidate a debt, pay for a child’s education, or even build an additional home, among other things. Home equity line of credit and home equity loans can both be stand-alone second loans and vice versa. A home equity line of credit, akin to a credit card, enables a borrower to get a home with a certain line of credit or draw amount. Although it is usually used as a second mortgage, the borrower can use it as a stand-alone first mortgage when the mortgage is free and clear or in order to refinance an existing lien. Tied to the variable prime rate, a home equity line of credit is an adjustable-rate mortgage. The borrower must pay back the amount drawn during the repayment period. The home equity loan, an alternative to the home equity line of credit, can refer to both a home equity line of credit and a closed-end second mortgage. The latter is a home loan operating similarly to a first mortgage. So, it is a fixed amount rather than a line of credit, which translates to a fixed-rate mortgage. Hence, the borrower may use it as purchase-money second mortgages. In order to avoid paying mortgage insurance, a borrower can take out a first mortgage at 80 percent loan-to-value and a concurrent second mortgage for the remaining 20 percent. How do Stand-Alone Second Loans work? A borrower can take out the loan based on the available equity of his home (the appraised home value minus the home’s primary mortgage balance). In some cases, lenders may offer programs that allow the borrower to exceed the available equity on the home. In that sense, these loans hold a secondary lien position to the property’s first loan. Consequently, if the borrower is unable to make the new monthly payments on the stand-alone second loan, he may lose his house. Because there is a primary, unclosed mortgage with a stand-alone second loan, these loans include higher closing costs. Hence, lenders consider this mortgage riskier than the traditional first loan. For this reason, stricter qualification requirements with long terms and higher interest rates are associated with the loan. 3CALoan has developed a comprehensive mix of highly customized stand-alone second loans. Our loan programs, offered at competitive rates and fees, help maximize an individual’s returns for her housing needs. Furthermore, they are based on the customer’s needs and requirements of her property. Hence, there is a way for owners and investors to spend less on interest and fees. Additionally, these owners and investors can turn an even bigger profit from their investment in a house. There are flexible loan terms and payment schedules available to fit the needs of any owner or investor. In addition, there are more loan options available, including more options to avoid mortgage premium insurance. Refinancing loans are available to save the current owner’s money on her mortgage loan payments. We can offer stand-alone second mortgage loans that fit an owner or investor’s individual needs.